I have always wondered about my passion for all things Italian. How did it happen? Where does it come from? How come that every time I go to Italy I feel like home? Well, as it turns out it’s more than passion. It’s in my blood. I took a DNA test and found out that my ethnicity is 53% Eastern European (which makes sense, as I have been brought up in Romania) and 42% Italian/Greek. Now the Italian bit was no surprise, but I really want to investigate more about my Greek heritage. Who knows what else I’m going to find out? 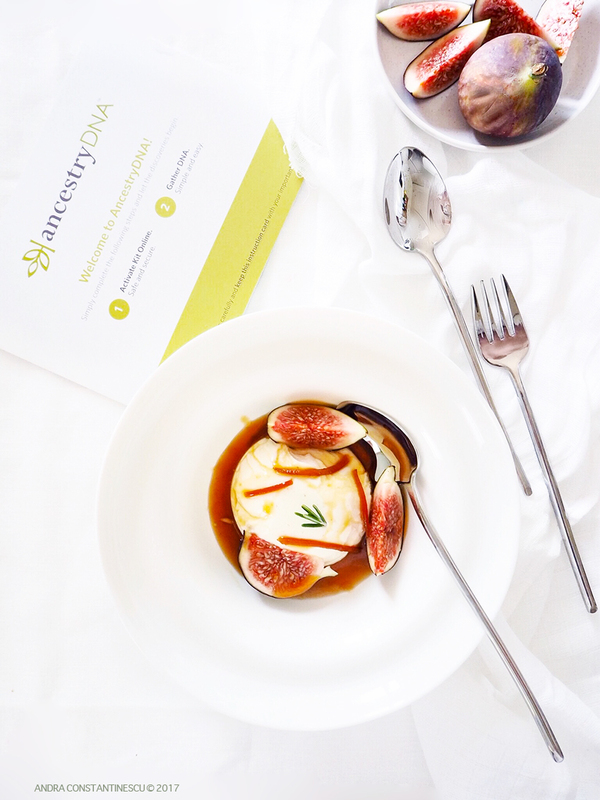 To celebrate this discovery I created a fabulous Italian dessert with a Greek twist: Greek yoghurt panna cotta infused with vanilla & rosemary, garnished with fresh figs and my home made Sicilian blood orange marmalade. Place the gelatine in a bowl of cold water. Heat the milk and double cream in a pan, add the sugar and rosemary and bring to a boil. Set aside, pass through a sieve and leave to cool down for about 10 minutes. Remove the gelatine from the cold water, squeeze out the excess water. Add the gelatine to the milk and double cream mixture. Stir gently until it cools down completely and begins to thicken. Add the greek yogurt and stir until completely combined. Pour the mixture into 4 panna cotta moulds, cover with cling film and place in the fridge for at least 3 hours. To serve, dip the panna cotta molds into hot water, then turn them out onto individual plates. 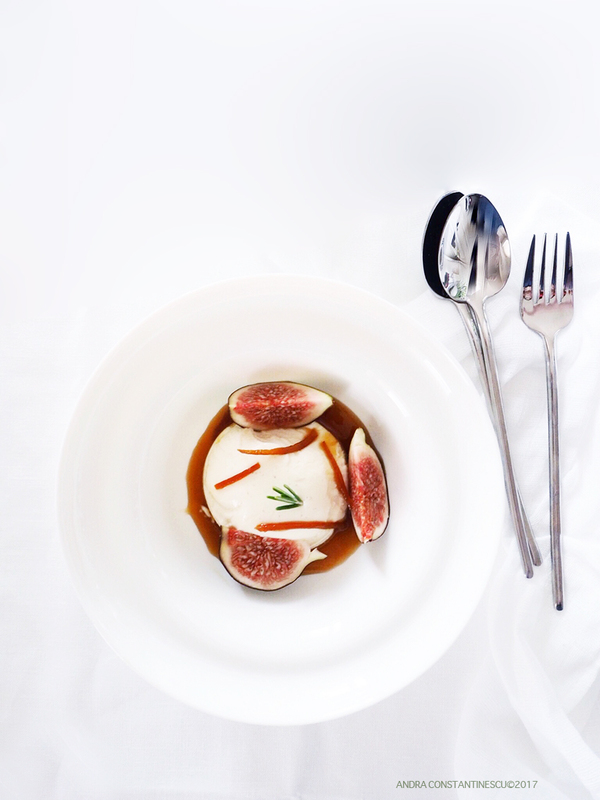 Garnish with blood orange marmalade and fresh figs cut in quarters.